In order to guide English-speakers towards the authors best suited for specific tastes, Culture.pl has put together an exclusive guide offering historical context and tailor-made recommendations. Polish literature, from its sheer quantity and innovative quality, undoubtedly deserves a place alongside the greatest, yet it has remained significantly less mainstream than its Russian or French counterparts, perhaps on account of the language barrier. However, outstanding translations of classics and contemporary successes have been steadily appearing over the last few years, offering book lovers a newfound chance to discover hidden treasures. Simply select the statement that applies best, and you will be redirected to the information you need to take to your local bookstore. b) I strongly prefer all things odd and kafkaesque. c) I'm fond of long-winded epics, I loved War and Peace. d) I'm a medievalist: religious manuscripts, please. e) I cannot get enough of WWII history. h) I know the Futurist Manifesto by heart, and I live by Marinetti and Mayakovsky's words. i) I like to sip absinthe while reading Symbolist poetry, Baudelaire, Yeats, etc. j) I want solid entertainment: sci-fi, comedic fiction. The earliest pieces of literature in the Polish language emerged in the 14th century. Of these early works – which developed a literary tradition outside that of the works being written in Latin – Bogurodzica, a hymn invoking the Mother of God, is most significant. With the relative political stability that resulted from the formation of the Polish-Lithuanian Commonwealth, the nation saw increasing opportunities for contact with the rest of Europe. 16th Century Polish arts reflect the impact of the Renaissance – particularly the influence of Italian artists and writers. The oeuvre of Jan Kochanowski honed the poetic language integral to later Polish literature and stands as an exemplar of the pinnacle of Polish Renaissance literature. Kochanowski’s Laments – written after the death of his daughter, Urszula – stand out in his diverse and prolific work as a piece of enduringly beautiful and heartbreaking verse. Poland remained engaged with the arts of Europe and followed its cultural trajectory through the Baroque and Enlightenment. The first half of the 19th century saw Poland largely reject Enlightenment values of the previous generation and embrace a Romantic spirit, in both literature and political action. The spirit of Romanticism has proven to have an enduring effect on Polish thought, and the greatest name of the period – Adam Mickiewicz – retains a prominent place in contemporary Polish culture. As “the bard of Poland,” Mickiewicz might be likened to Pushkin, Byron, Goethe, or Shevchenko. 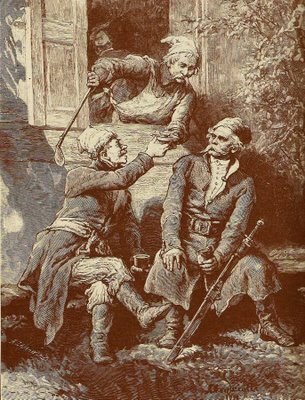 The opening lines of Mickiewicz’s Pan Tadeusz, a novel in verse, can be recited by many Poles; and the work – set in the time of the Napoleonic Wars – is a Polish national epic. His drama Dziady (Forefathers’ Eve) refers to Slavic pagan tradition and is a fascinating example of Romanticism’s engagement with mysticism and the Absolute. Mickiewicz and his contemporaries, Juliusz Słowacki and Zygmunt Krasiński, have become known as poet-prophets (wieszcze), as their work elevated the reflection of Poland’s political struggles to a spiritual plane. The literary scene at the turn of the 19th century produced two masters of the novel. The work of both Henryk Sienkiewicz and Bolesław Prus turned toward historical detail and clear, accessible prose. Winner of the 1905 Nobel Prize in Literature, Sienkiewicz is best known for Quo Vadis and his Trilogy – comprised of With Fire and Sword, The Deluge, and Fire on the Steppe. The Trilogy is set in the 17th century Polish-Lithuanian Commonwealth, while Quo Vadis takes place in Nero’s Rome. Sienkiewicz’s work – filled with adventure and acts of heroism – is often cited as having played a vital role in preserving Polish national spirit in the era of partition. Eschewing Sienkiewicz’s dramatic portrays of historical struggles, the literary worlds of Prus’s fiction are remarkable in their accuracy – both of tone and geography. Those who enjoy the social realism of Leo Tolstoy’s Anna Karenina will appreciate Prus’s masterpiece, The Doll, which brilliantly presents a vision of late 19th century society in Warsaw. Prus’s innovative variation in narrative perspective and tone were unmatched in his time and are not to be missed. In the first decades of the 20th century, Poland’s arts flourished in the era of “Young Poland.” The literature of this period developed through a number of stages and produced great works by Stanisław Przybyszewski, Leopold Staff, Bolesław Leśmian, and Stefan Żeromski. In this period Stanisław Wyspiański’s The Wedding stands out as an essential work of the period. The symbolist drama – densely packed with allusions to Polish history and culture – tells the story of a wedding that brings together not only peasants and urban intelligentsia, but also a host of spirits and ghosts. Ultimately a critique of both political stagnation and earlier theories of “art for art’s sake,” this rich drama remains one of the most influential works in Polish literature. Having regained independence in 1918, interests in Poland found themselves at odds regarding the future of the nation. Similarly, the interwar period in literature is characterized by diversity in aesthesis and influences. Zofia Nałkowska’s The Romance of Theresa Hennert offers an illuminating picture of the conflicting perspectives and personalities looking to shape the identity of the newly independent nation. The futurist movement that developed across Europe in the 1920s found its way to Poland in the works Bruno Jasieński and Aleksander Wat. Those who enjoy the Italian futurist Filippo Marinetti or Vladimir Mayakovsky of Russia will delight in the Polish take on this dynamic and urban style. Rejecting tradition and embracing a technological future, Polish futurists envisioned a Poland radically divorced from its past. Though Wat’s work later moved away from futurism, his 1927 Lucifer Unemployed is a biting and darkly comic take on a changing world in which Lucifer finds a career in cinema – having otherwise found himself superfluous in atheistic modern society. In contrast to the futurists’ radical break from the past, poets associated with the Skamander group looked back to classical images and traditional literary forms. Jarosław Iwaszkiewicz and Julian Tuwim were among the founders of the Skamander group, and their poetry of the time endures in its simple beauty and accessibility. Looking for Something Both Brilliant and Strange? Alongside the diverse literary schools of the interwar, there emerged three authors who defy labels. These “great innovators” – Stanisław Ignacy Witkiewicz (Witkacy), Witold Gombrowicz, and Bruno Schulz – addressed issues of form and social relations, though each approached their subjects in very different ways. Witkacy’s dramas – both brilliant and bizarre – are considered a precursor to the Theatre of the Absurd associated with Samuel Beckett, Eugene Ionesco, and Jean Genet. His work often engaged with the desire to break free from social conventions and expectations. His The Madman and the Nun is a play in which character types – more so that actual characters – come together in an asylum. Though it is the poet character who is committed to the institution, Witkacy explores how the ideologies underlining the actions of all the characters (psychoanalysis, scientific positivism, etc.) are their own kind of madness. Witkacy’s The Shoemakers offers an allegorical look at conflicting political ideologies of the time as a fascist, a communist, and an aristocrat are pitted against one another. Learn more about Witkacy here. Like Witkacy, Gombrowicz explored the relationship of the individual with the various “masks” offered by social relations. 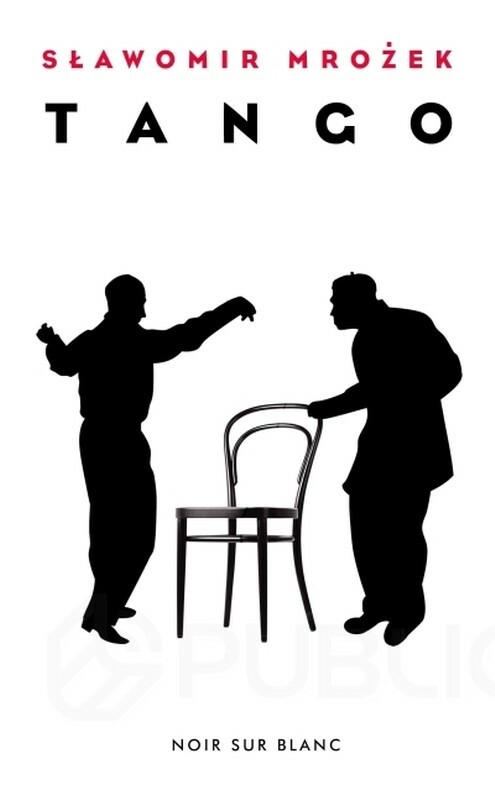 His Ferdydurke is a brilliant satire of the simultaneous desires for individuality and belonging – presented through the story of a man who wakes to find himself returned to his days as a schoolboy. The convoluted Cosmos details one man’s search for meaning in a seemingly random series of events and observations. In this engaging and unsettling novel, as his protagonist begins to form increasingly unexpected associations within his environment, Gombrowicz lays bare the absurdity in our search for meaning and connection. The poetic beauty of the worlds Schulz creates in his stories is the basis for his meditations on the relationship of physical reality to a metaphysical universal. His tales of inaccessible time and lost homes exist in the interaction between imagination and experience. 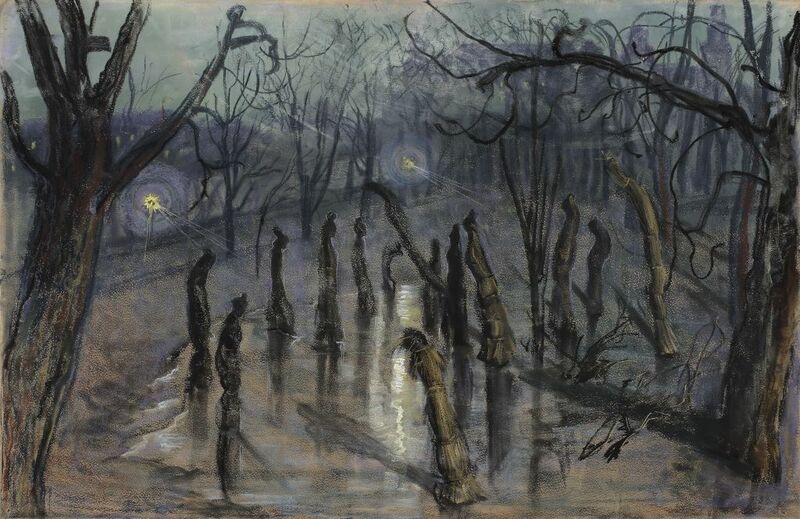 Though his life was tragically cut short when he was murdered during the Nazi occupation of his hometown of Drohobycz, the collections he left behind – Sanatorium Under the Sign of the Hourglass and Street of Crocodiles – remain and are not to be missed. As a central battleground of the Second World War, Poland – and her literature – was deeply affected by the trauma of the war. The literature of the period and the years that followed address the experience of a people whose country not only was invaded from both sides, but also was to become the territory in which the Nazis carried out their genocidal policies. A member of the Polish underground, Krzysztof Kamil Baczyński was killed in the Warsaw Uprising of 1944. The poetry he left behind expresses the fears and passions of a young man facing an uncertain and violent future. Poets Anna Świrszczyńska, Tadeusz Różewicz, and Miron Białoszewski survived the Warsaw Uprising, and their work reflects the trauma of the event in various ways. Białoszewski spent much of his life after the war writing and editing a memoir of the Uprising. In his A Memoir of the Warsaw Uprising, he looks to strip his memories of a retrospectively imposed narrative thread, instead presenting a densely detailed account of life in the besieged city. Tadeusz Borowski's This Way to the Gas, Ladies and Gentlemen offers a brutal portrait of life in Auschwitz. Himself a survivor of the camp, Borowski’s frank prose and clipped details present the world in which kindness is shocking and no one is a hero. Also addressing the horrors of Nazi policy, Nałkowska’s Medallions, published shortly after the war, is a collection of short stories assembled around chilling accounts Nałkowska collected as part of an investigative committee on Nazi war crimes. More recently, a new generation of Poles – whose experience of the war comes only through the memories of others – has addressed the legacy of trauma in their work. Marek Bieńczyk’s Tworki, set in a psychiatric hospital near Warsaw, explores the relationship between memory and imagination as the musings of the contemporary narrator meld with a narrative of life in occupied Poland. Piotr Paziński also confronts echoes of the past in his two novels, Pensjonat and Ptasie ulice. Paziński’s is a world of spirits – both a poignant meditation on loss and a carefully crafted celebration of the vanishing language of Poland’s Jewish population. Amongst the rather dark literature that emerged out of a Poland that endured the Nazi occupation only to find itself under the shadow of Soviet power, there remain examples of delightfully quirky and darkly comic fiction. Lovers of science fiction will delight in the works of Stanisław Lem, whose novels and collections of stories include Solaris, The Star Diaries, and The Cyberiad. Though in his stories Lem’s characters often find themselves confronted with beings and settings alien to them, there is simultaneously a feeling that these worlds are grounded in reality. His work is as much philosophy as it is science fiction. Lem’s playful and inventive use of language, along with his thoughtful and engaging narratives, make him a great choice both for those looking for a charming adventure and absurd humor, as well as readers searching for a creative philosophy of encounter with an other. Sławomir Mrożek similarly used his writing creatively to comment on contemporary social conditions. His 1957 collection of short stories, Elephant, offers a satire of life in communist Poland. He highlights the absurdity of the authorities and conditions of life in what Spectator describes as “brief fables…something like Kafka’s stories, but funnier.” Mrożek’s drama Tango returns to some of the themes of Witkacy’s The Shoemakers, though his work grounds the political conflict within a story of familial dysfunction. A joy to read, Mrożek’s prose can be enjoyed both as immensely humorous tales, as well as texts that illuminate the environment in which they were composed. No survey of Polish literature would be complete without the three most prominent Polish poets of the 20th century – Czesław Miłosz, Wisława Szymborska, and Zbigniew Herbert. Easily the most recognized name of Polish letters around the world, Miłosz’s rich and philosophical poetry vividly reflects upon the spiritual and scientific in the world around him. Also a gifted and prolific scholar, translator, and prose writer, the collected essays in his 1953 The Captive Mind remain a classic of literature on totalitarianism, and his The History of Polish Literature was invaluable in fostering an awareness of Polish literature in the English speaking world. 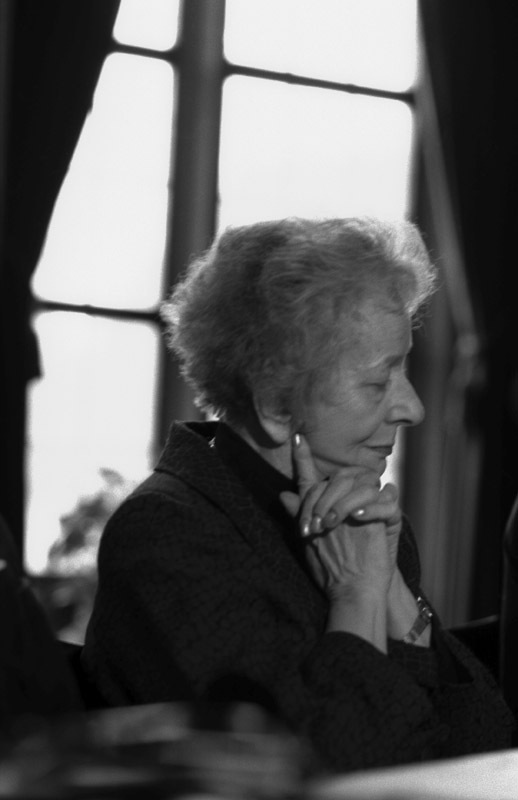 Szymborska, who was awarded the Nobel Prize in Literature in 1996, might well be understood as a poet of scale. Her work frequently approaches the particularity of its subject from a macro level or zooms out to reveal the vastness of one’s environment. Herbert’s cerebral verse is deeply engaged in questions of ethics and history; it is both moral and ironic. 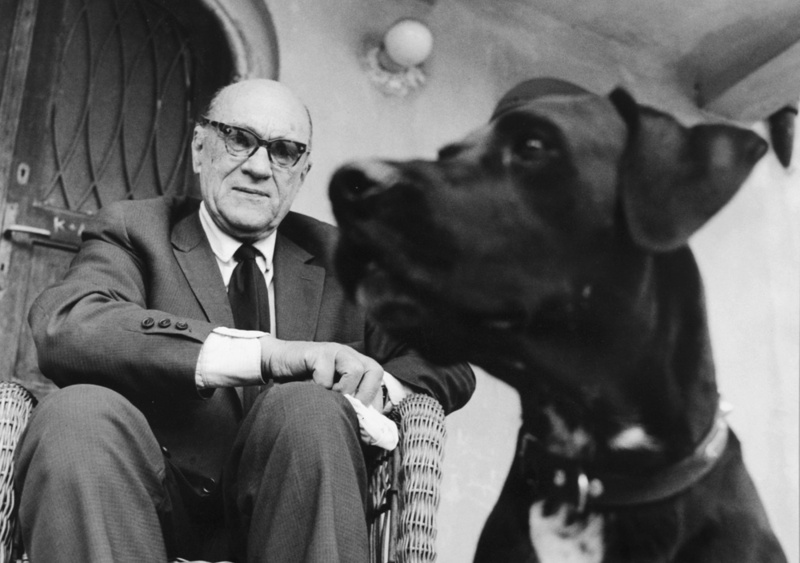 Born after WWII, a “New Wave” of Polish poets found prominence in the late 1960s. Of this “Generation of ’68,” the work Adam Zagajewski and Stanisław Barańczak is of particular note. Both poets masterfully represent social reality with clear language and a dose of irony. Along with their collections of poetry, Zagajewski and Barańczak have published collections of essays and criticism. Barańczak’s 1990 Breathing Under Water and Other East European Essays offers a particular engaging examination of the experience of the Polish writer in exile and the transformations that were shaping Eastern Europe. For those interested in Poland’s future, there are perhaps few better signs of her promise than the thriving and diverse creativity on display in contemporary literature. Though the world of contemporary Polish literature is vast, the follow are but a few of the outstanding artists whose work has found acclaim in translation. Olga Tokarczuk, a gifted storyteller and stylist, is one of the most critically acclaimed authors of contemporary Polish literature. Her 1996 novel, Primeval and Other Times, offers a microcosm of mankind steep in myth and psychological subtlety. Michał Witkowski’s Lovetown (2004) portrays both a transitional period from communism and the frequently overlooked subject of homosexuality with sharp wit and a keen ear for spoken language. 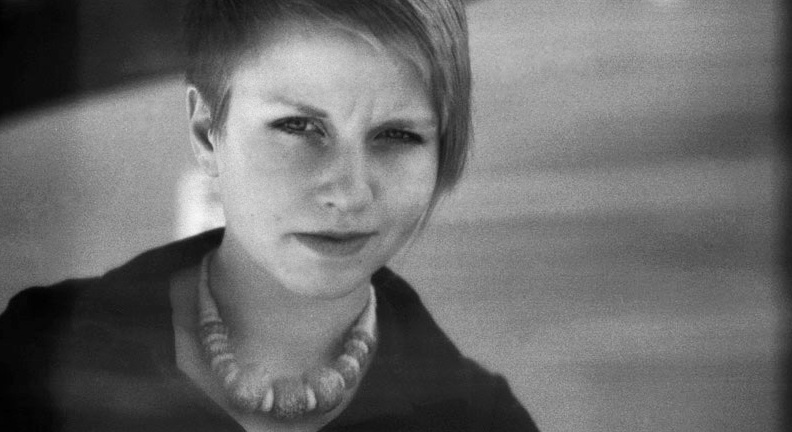 Dorota Masłowska burst onto the scene with the 2002 publication of Snow White and Russian Red. A sort of Polish Trainspotting, the novel depicts the exploits of a group of aimless youth in pitch perfect narrative attuned to the rhythm and style of its protagonists. Masłowska’s gift for capturing the language of the street also is evident in her 2005 novel, The Queen’s Peacock, which employs a hip-hop idiom to cast a critical lens on media and pop culture.